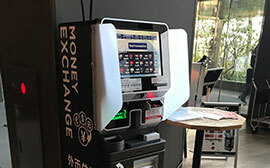 Customers using Executive & Suite room could check in and check out in the Lounge and have the special service of free drink ,food and concierge here. 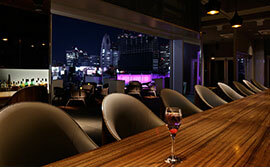 From the large and spacious terrace on the roof, which can hardly be seen in Japan, You can fully enjoy the fascinating night view of Shinjuku. Good choice for casual gourmets. French and Italian Cuisines from our first-rate chef was served at a reasonable price. While enjoying the delicious food, you could also feast your eyes on the beautiful night view through the glaced casements. This is a leisurely place with soft lights and music flowing through. You can relax yourself by a beverage here. We provide good espresso, alcohols and also food. 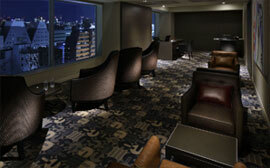 Works from promising Asian artist are displayed on the regular art exhibition at the lounge. 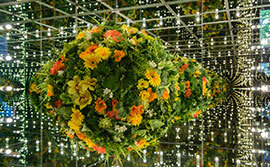 We hope that here would be the place where you can walk slowly and have new discoveries in Tokyo. The room service is available from 5:00p.m. to 8:00p.m. 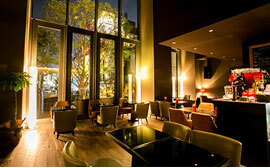 With our delicious food and nice service, You could spend some luxurious and cozy time by yourself. 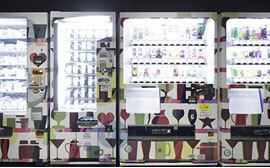 Vending machine is on 1F, and Ice machines are available on almost every floor. 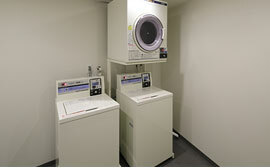 Prepay-set laundry is a available on the 2F. Please use the smoking area (indoor) on 1F.